One of the best ways of making sure your garage door remains safe and effective is by having maintenance performed regularly. At Action Garage Door, we’re offering a great special on a garage door tune-up that will keep your unit working in a smooth and worry-free fashion. 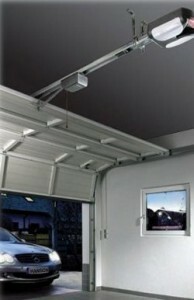 For only $69 we can come to your home and provide you with a garage door tune-up. We’ll look at each and every component to make sure it is in good shape so that you and your family remain safe. If we spot an issue, we’ll make sure you are completely informed before we begin any sort of repair work. Whether you have a residential or commercial garage door, we’ll have it checked out from top to bottom. We know all brands and models, and we have all the tools and equipment needed for any sort of work you may need. If you purchase our lifetime warranty springs, we’ll throw in the tune-up for free. Springs are the support system of your garage door, ensuring that it doesn’t fall and potentially cause serious injuries and substantial damage. If you have a torsion spring system, the springs will be mounted on a metal tube on a wall above the garage door. There are drums located on each side of the tube that roll up the cable and lift the door. As the door rolls overhead, the springs unwind and lose power. There is another type of spring known as an extension spring system. These are found in sectional garage doors (ones that curl overhead in four or five sections) and also on one-piece garage doors that swing out and then roll up. The latter is very dangerous and is no longer manufactured. If you have this type of system and you have a broken spring, it should be replaced as soon as possible. No matter what type of spring system you have, we can outfit it with extremely durable springs that come with a lifetime warranty. For example, our torsion springs are guaranteed for the life of your system and designed to work for 25,000 cycles or more. If you would like to set an appointment, call Action Garage Door at 972-215-7906 or contact us online.